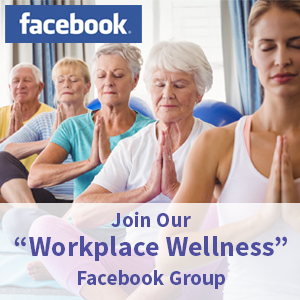 In the 24-7, always on, work culture that we live in today, Workplace Wellness is being called on now more than ever to help support the plethora of health and wellness needs and concerns of today’s workforce. In meeting these needs, it may be argued that the Workplace Wellness industry is experiencing a revitalization/rebirth in its scope, mandates, and offerings. Based on the results of a 2015 survey by the International Federation of Employee Benefits Plans (IFEB), celebrating a birthday, rolling up the sleeves for a community volunteer project, and taking that extra day of vacation are probably not the first activities that come to mind concerning workplace wellness. However, less traditional benefits are quickly taking the stage as top wellness initiatives. From my research for and experience in the development and launch of our global online Workplace Wellness Ambassador Certification Programs, I have witnessed both new paradigms and challenges emerging in the wellness industry. Being an eternal optimist, I have hope that as wellness providers we are beginning to better understand and respond to the emerging needs of today’s employees. The following predictions and insights on emerging trends in global workplace wellness initiatives over the next five years, along with a vision for new opportunities to create healthier, employee-responsive work cultures, were born out of my involvement, with and through the support of my Workplace Wellness COE Associates. There is evidence that organizations today are beginning to expand their program offerings to include broader dimensions of organizational and employee wellness. I would suggest, however, that there is much room for improvement. It can be argued that many of today’s wellness programs are predominantly focused on Physical Wellness and population health management with minimal offerings in other critical dimensions, such as Emotional, Career, Social, Financial, and Community Well-being. A good example of a Community Well-being initiative is one created as a group project in our Ambassador certification program. In this initiative, the group created a corporate social responsibility (CSR) campaign involving employee mentoring for seniors and fun, corporate-sponsored events organized by employees for their adopted seniors. In the 2015 White Paper report by the Global Wellness Institute, The Science of Wellness: Hype or Hope? Roundtable, it would appear that there is an emerging departure from the one-size-fits-all mindset and approach in workplace wellness delivery. Dr. Mary Tabacchi (Cornell University) cautions, however, that holding to the ideal of an entire population change would mean focusing on the least fortunate, least informed, and hardest to reach employees. These are the people who might ultimately cost employers, and the world a great deal of money. Justifiably, these are the employees who don’t have the inspiration to be inspired, because life is too difficult and they’re focused on just feeding their kids. According to the International Federation of Employee Benefit Plans report, the more traditional wellness initiatives like health risk assessments and flu shots remain popular among workplaces, but the International Foundation noticed a growing emphasis on more non-traditional initiatives like mental health coverage, vacation time and tuition reimbursement. According to the survey, top non-traditional wellness initiatives include: vacation time/time off use is encouraged (66%); mental health coverage (63%); tuition reimbursement (63%); community charity drives (57%); on-site events/celebrations (50%). Similar to Trend #1, these non-traditional wellness offerings are most encouraging as it suggests a departure from a predominant focus on the Physical Dimension of wellness. As alluded to in my opening, in the 24-7, always-on, work world that we live in today, there is a growing need to purposefully and mindfully disconnect to reconnect to ourselves, family, and humanity at large. Thankfully, progressive companies today are beginning to promote and support strategies for switching off , including digital detox retreats, and company-wide edicts around the use of email after hours. Onsite mindfulness and yoga classes also seem to be growing in popularity as are nap pods and sleep rooms, a trend that I foresee growing in popularity. Recently, during the delivery of a mindfulness campaign, an employee emailed one of our Certified Master Ambassadors (a wellness coordinator of a large organization) to say how much more relaxed she was at the beginning of her work days having participated in the campaign’s morning meditations. Relating to Trend #4, workplace wellness needs to be allocating as much, if not perhaps more, resources and support mechanisms to cultivate emotional well-being, workplace happiness, and spirit-at-work. Corporate initiatives such as Bell Canada’s Let’s Talk is a shining example to which other organizations can aspire. Let’s Talk launched in September 2010 as a five year, $50 million program to help create a stigma-free Canada and drive action in mental health care, research and the workplace. With Clara Hughes leading the national conversation, Canadians have sent almost half a billion messages of hope and support on Bell Let’s Talk Days over the last five years. Bell Let’s Talk has funded more than 600 partner organizations leading the mental health movement in every region of Canada; 81% of Canadians say they are more aware of mental health issues than 5 years ago; 70% believe attitudes have improved; 57% believe stigma has been reduced. As evidenced in the following excerpt of the 2015 White Paper by the Global Wellness Institute, controlling our burgeoning health costs might best be achieved through collaborative efforts and synergies between government and wellness providers. It is my prediction that within the next five years we will see increased coalitions and joint efforts between both sectors. Forward-thinking organizations are now starting to embrace different wellness outcomes that identify qualitative benefits versus the hard benefits of Return on Investment (ROI) measures. Whether measuring ROI or VOI (Value on Investment), organizations need to first and foremost establish corporate-specific wellness objectives and desired outcomes. Both need to be directly tied to corporate growth objectives to effect any meaningful returns to employees and the organization as a whole. 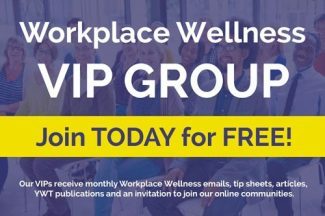 It is my contention that wellness providers might be better served by promoting the non-financial, value-added benefits of their wellness programs to employers/ employees including the potential for fewer sick days, less presenteeism, increased engagement, etc. When we place our primary attention on ROI as opposed to value, employers will be focused on bottom-line outcomes and all decisions and support for wellness will likely be driven by and based on such. Isolating the impact of wellness to measure and align solely with cost control can potentially misrepresent the inherent value that well-defined, well-delivered programs offer. As purported by Graham Lowe, Creating Healthy Organizations, cost-benefit should be only one of many inputs for decisions about resources allocations in workplaces. Examples of VOI performance indicators and outcomes from workplace wellness programs might include such arbitrary metrics as: 15% reduction in employee absenteeism; 10% increase in employee participation of a Corporate Walking Program; 5% reduction in employee smoking; or, 5% increase in new customer acquisition; 10% increase in employee retention, etc. Relating to Trend #3 – Employee-driven wellness programs, connecting employees to their communities through volunteer initiatives can provide considerable wellness and productivity benefits to organizations/employees, needed charities, and communities as a whole. As reported by Arianna Huffington in her book Thrive, a 2013 study by United Health Group found that employee volunteer programs increased engagement and productivity. Other findings from that study revealed that: more than 75% of employees who volunteered said they felt happier; more than 75% experienced less stress; and 95% said that volunteering enriched their sense of purpose. She also shared that at both AOL and Huffington Post, employees are offered three paid volunteer days each year to serve in their communities and they match up to $250 a year in charitable contributions per employee. Others, such as Starbucks, instituted Create Jobs for USA which has raised over $15 million and created and sustained more than 5,000 jobs and they have sponsored more than a million hours of community service by their employees and customers. These aforementioned organizations are examples of Corporate Social Responsibility (CSR) at its finest! Aligning with several of the preceding trends and predictions is the need for more inclusive workplace wellness solutions to involve home-based workers and remotely located employees and satellite offices. While we have made some advances in reaching out to these employee groups through virtual technologies (i.e. wellness portals and online gamification), I suggest we can do better. It was with this in mind that Workplace Wellness COE Inc., with the support of its Associates, created the Workplace Wellness Ambassador Certification Programs. Through our dynamic programs, participants are trained how to utilize virtual collaboration technologies to involve employees in all aspects of wellness program provisioning, including employee needs and interest surveys, virtual wellness committees, and employee-led wellness campaigns. By interfacing inclusive approaches with engaging collaborative technologies, we can achieve ‘High Involvement-High Commitment’ – employees, teams, programs, and work cultures that create results! The last emerging trend (or perhaps my hopeful prediction of) is that of global connectivity and unification through and in our work – and society in general. Each of us as a wellness provider would be well served to embrace global connectivity, sharing, and partnerships. As an International Workplace Wellness Consultant with the support of an incredible group of Wellness Associates from across the globe, I for one, can attest to the inherent value of working from a global mindset. Without such, our program would not likely exist; nor would our trainees have had the benefit of learning from wellness providers across the globe. By embracing a global mindset and through virtual collaboration, our Workplace Wellness COE Associates, presenters, and trainees from around the world get to share and learn comprehensive best practices, which ultimately enrich their own wellness programs and those they serve. Here’s to promoting and manifesting these trends and predictions! Arianna Huffington, Thrive (2014). Harmony Books, New York, NY. Graham Lowe, Creating Healthy Organizations, University of Toronto Press, Toronto.